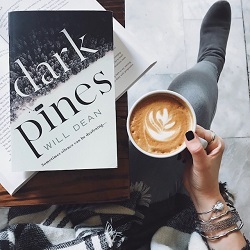 I’m delighted to welcome author Will Dean to Crime by the Book today to chat about his debut thriller, DARK PINES! This book has garnered major buzz in the book blogging community, and it’s easy to see why: from its gorgeous cover to its ambitious female protagonist to its author’s fascinating backstory, this is a debut with huge appeal - and a read that delivers. I was thrilled to have a chance to ask a few questions of Will - and was fascinated by what I learned about his book. Read on for more information on DARK PINES, and to get a behind-the-scenes glimpse into the book from the author himself! It’s my absolute pleasure to welcome to CBTB today Pierre Lemaitre, the author behind arguably my favorite psychological thriller, BLOOD WEDDING, and the brand-new THREE DAYS AND A LIFE, which releases from Quercus today, 11/7/17! This is truly one of the most thoughtful Q&A’s I’ve had the pleasure of hosting on Crime by the Book, and I hope you will enjoy reading it as much I have enjoyed putting it together! Many thanks to Pierre for taking the time to answer my questions so thoughtfully, and to the publisher for facilitating this Q&A. I’m absolutely thrilled to share a Q&A with Norwegian crime writer Vidar Sundstøl, whose forthcoming crime book THE DEVIL’S WEDDING RING was an instant hit for me! Sundstøl is a masterful writer, and I can highly recommend THE DEVIL’S WEDDING RING for Scandinavian crime fiction fans looking to embrace something a little bit different, and totally engrossing. In this Q&A, Sundstøl covers everything from the inspiration for THE DEVIL’S WEDDING RING to his deep connection to his home, to the crime-solving librarian who plays a significant role in this outstanding crime read. I’m absolutely thrilled to share a Q&A with Kathleen Barber, whose exceptional debut thriller ARE YOU SLEEPING released last week, and was an instant hit for me! ARE YOU SLEEPING is a seamless blend of podcast-inspired storytelling and a modern, on-trend psychological thriller. This book makes the perfect end-of-summer binge read! Read on for the book's plot summary and my conversation with Kathleen Barber, whose debut thriller ARE YOU SLEEPING is on sale now. It seems perfectly fitting that my first blog post of Crime by the Book's second year in existence is dedicated to one of my favorite books: THE CROW GIRL by Erik Axl Sund. 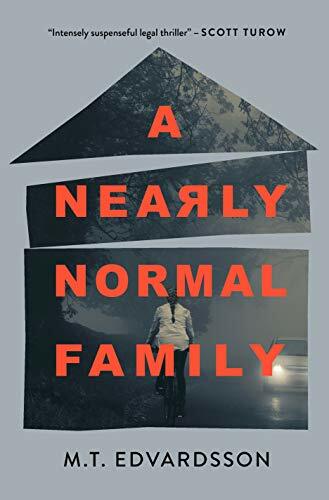 Today I’m thrilled to share a Q&A with writing duo Erik Axl Sund, discussing their brilliant crime book, their writing process, and what they're working on next! Read on for more information on THE CROW GIRL and our Q&A.